Advances in technology, online commerce, access to products worldwide. Every single day the competition within your company’s industry is increasing, with businesses implementing innovative methods and techniques to reach new customers. That is why it is so important for you, as a business owner, to create a competitive edge that makes your brand stand out. Creating brand loyalty is about getting the right message to your target audience, while at the same time building a relationship with your customers that makes them come back to your organization time and time again. However, this is not an easy goal to achieve. Through the use of mascot marketing, your business not only adds a friendly face to your brand, but you can develop a personality and brand story which your customer empathizes with. In turn, this will allow your company to create a physical and emotional connection with your audience. 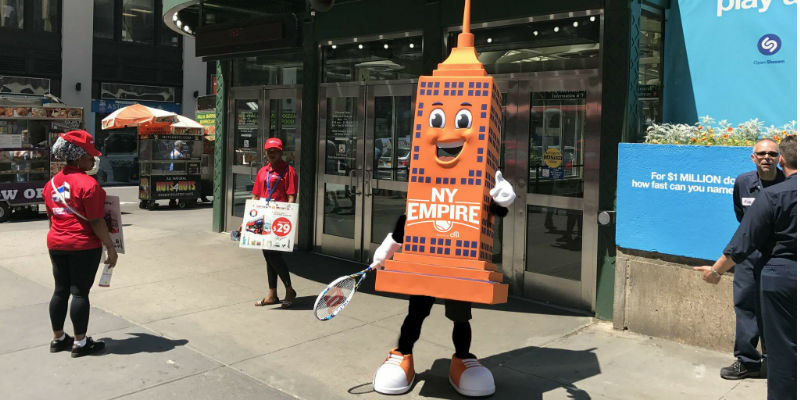 Mascots are a great way to make your brand or organization stand out at an event, whether big or small, because they draw attention wherever they go. With the correct story and characteristics, your mascot will become a larger-than-life character that engages your audience in a way that no other marketing technique can. Whether you send your mascot to community events, display them at company exhibitions or use them to boost your online presence, a custom mascot is a great way to stand out, catch people’s attention and bring your audience closer together. A mascot is more than just a cute amusing character - they can significantly help your brand to become more recognizable. Whether you are trying to raise brand awareness or increase sales, an outgoing and likeable mascot is exactly what you need. They will not only get attention; they will engage your audience to keep your brand top of mind. Customers want to stand behind a brand that shares their values and that they can trust. Having celebrities and athletes represent your brand offers similar benefits to your company as a mascot would but these types of spokespeople may fall out of popularity, and sometimes act in a way that hurts your brand and your customers - even when they are no longer representing it. With a mascot, you can control their story and you don’t have to worry about them getting into a negative situation, during off hours. Social media is an important aspect of any company’s strategy, with digital marketing playing an increasingly vital role in brand exposure and recognition. Mascots are powerful social media tools that allow you to easily entertain your audience and engage your followers in a way that’s more difficult through a “corporate” social media site. Your audience will be more likely to engage with your mascot than the paid marketing person on the other side of the computer. Are you ready for a mascot? Contact us today – we’d love to chat! 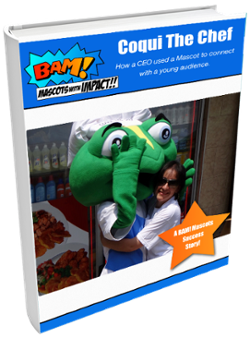 Angie is a co-owner and partner of BAM Mascots, a leading Canadian maker of custom designed mascots.